PERRY TWP. 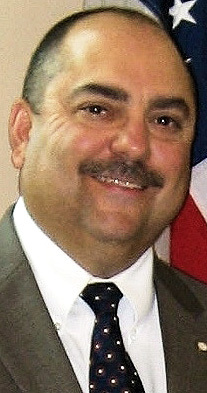 — Former Salem city councilman and city auditor James Armeni Sr. said he wants to serve the citizens again, this time as a Perry Township trustee. At the end of May, Armeni started work as the assistant treasurer serving both the Mahoning County Educational Service Center and the Mahoning County Career and Technical Center. He previously had been working as the Liaison for Government Affairs for State Auditor Dave Yost. “With over 27 combined years of experience in elective and appointed public service…from Salem City Council to the Columbiana County Auditor’s Office to, most recently, service as the Liaison for Government Affairs for State Auditor Dave Yost…I believe that I understand the challenges and the opportunities that lie ahead for Perry Township. And I would like to be a part of moving the township forward,” he said in a press release. “I just want a chance to serve again. I like helping the community,” he said when contacted by phone. — maintain the high level of police and fire protection and other public services that the township has come to expect while ensuring fiscal stability and low taxes for citizens. “If elected, I will be ready to serve on day one. Having worked with township officials in a ten-county region of Ohio for the past six years, I believe that I will be uniquely qualified to serve in this capacity and to contribute positively to the betterment of the township and its citizens,” he wrote. As an associate member of the County Township Association in both Mahoning and Columbiana counties, he said he got to know a lot of trustees and got to hear their concerns as a member of the state auditor’s staff. Armeni graduated from Salem High School in 1978 and attended Kent State Salem. He and his wife, Lorri, a retired teacher, have two sons, Jim Jr. and Ross, both graduates of Salem High School. Two seats on the three-member non-partisan Perry Township Board of Trustees are up for election this fall, currently held by incumbents Don Kendrick and Don Rudibaugh.